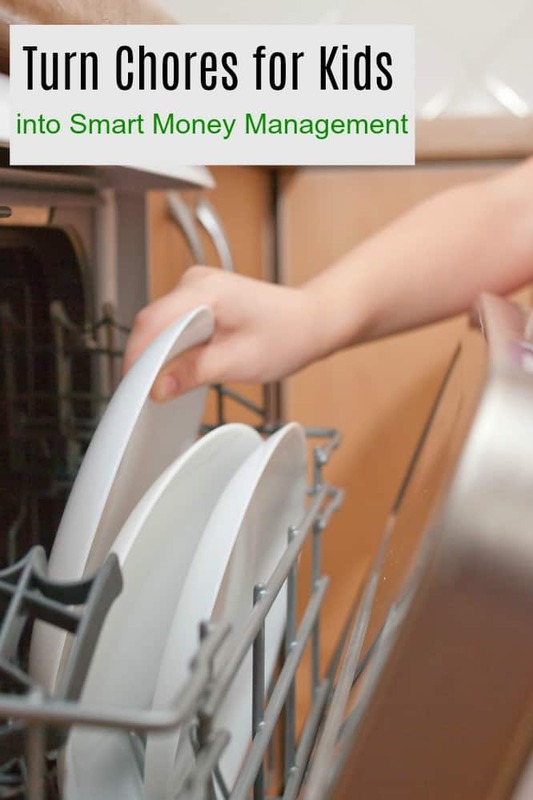 This post about summer chores for kids and smart money management has been sponsored by BusyKid. All opinions are my own. Ever since my kids were young, they have been given chores. Since we live in the burbs, they aren’t out milking cows at 5 Am but I try to make sure they have a few things to do most days. Since they have a lot more free time during the summer, they have more chores to go along with more free time. Summer chores for kids are a great way to teach them responsibility. It also lightens your own workload at the same time! Did you know that by using the BusyKid app, you can help teach them smart money management while they help you with your to do list? Should Summer Chores for Kids be Paid? A recent survey from BusyKid found that 90% of parents said they benefited from chores growing up. However, only 55% have their kids doing chores. I honestly cannot imagine my kids not having chores to do! 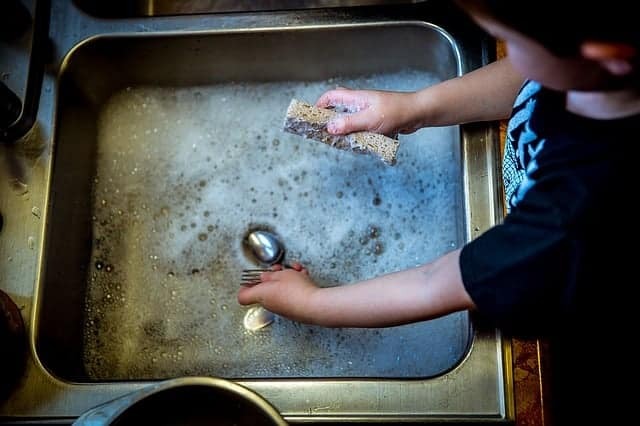 Should you pay kids for chores? Well, there is a lot of debate about this. Personally, I don’t pay mine for the basic things they do every day. My kids are teens now and I consider setting the table, cleaning their bathroom, and washing their own laundry to be part of their contribution to our home. However, when I assign summer chores that go above and beyond their normal responsibility, they do get paid. Payment for chores helps my teens earn money for all the ‘fun’ stuff they like to over the summer. That way, when they want ice cream at the pool or to go to the movies with friends, they aren’t constantly sticking their hand out. Smart money management is important, especially for teens! But, how do you teach them how to manage their money wisely? The U.S. ranks far behind globally when it comes to financial literacy. Part of the reason for this is that our kids are just not taught how to manage their money. Start looking at summer chores for kids as part of their education. With BusyKid, they get hands-on experience when it comes to earning and managing money. BusyKid’s allowance app is an easy way for your kids to make money while learning valuable financial lessons. It is basically your kid’s first job and is designed for kids as young as 5 or as old as 17. Their direct deposit system lets them mark their completed chores, manage their allowance and then actually invest in stock! The have a unique partnership with Stockpile to allow kids to invest in fractional shares of real stock. You can enroll the entire family for $14.95 a year and then you get the first 30 days for free. Visit BusyKid to get the first 30 days free! Add a BusyKid Spend Card (rechargeable Debit Card) for just $5 per year. The debit card gives your children the freedom to spend their allowance in stores or online. It’s a great way to start teaching your child financial responsibility in our near cashless society. The BusyKid Spend Card allows kids to transfer funds to other bank accounts as well. You can even give them a bonus if they go above and beyond the expect work. BusyKid lets your child buy gift cards and stock through the app or they can make direct donations to several charities. This is a wonderful way to encourage social good and teach kids to give back! Kids need hands-on experience when it comes to earning and managing their money. If they don’t get it from you, they won’t get it. And that does NOT bode well for them once they move out of your house! Do your kids have a summer chore list? This is such a cool idea! I love that it's already set up & you don't have to come up with a whole system on your own. It is definitely an organized way to get your kids educated about money! I love BusyKid, they offer quite a wonderful way to help kids manage money. Any app that encourages chores and teaches kids to be financially savvy is a win for me. I will have to look back into this app for the summer season! This is a great way to keep track of chore money! We always seemed to lose count back when my kids were younger. Teaching them early is a great idea, and all kids love apps! I've been looking for a good allowance app for a while! I will absolutely give BusyKid a try! It sounds like this is just what we need! My kids do chores every day, and then if they want to do extra chores, I will pay them, but not much! This is a good idea because money just burns a hole in my 9 year old's pocket! ha!